Today we have a wonderful guest post from Jessica Klute who recently published her first book with Brindle & Glass Publishers. Jessica is a writing instructor who has taught at several universities. 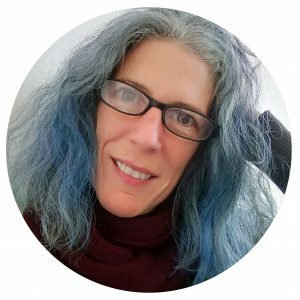 She is also a workshop host, and offers writing feedback. Thank you Jessica for sharing your experiences and wonderful advice on writing our stories, trusting the process, and the balance between truth and imagination. My first book, Rosina, The Midwife, a work of non-fiction about a Calabrian woman, was released a few weeks ago. The midwife delivered babies in three small southern Italian villages and was left behind when the rest of her family immigrated to Canada. I’ve been hesitate to give in to the birth metaphor that so readily lends itself to writing and publishing: the book as a ‘paper baby,’ something labored over, now out in the world… and for my book, about motherhood and our matrilineal lines, this metaphor is all too fitting. I’m hesitant mainly because I am not a mother, and I can’t pretend to understand that pain of labor (though, I did manage to write a few birth scenes), and those emotions. However, the night before celebrating my book launch in Edmonton, the city where I live, my newest niece was born. I looked into her little face—just hours old—curled in my arms and felt so much love. I felt it was just so fitting to be celebrating Rosina—my great-great-grandmother and a midwife to hundreds and mother to many—the very next evening at my book launch. For me, this moment represents the power of non-fiction stories: some moments just come together. There’s a layering that can happen when we step back to make meaning of the events of our lives. My book aims to do that: to bring together women across time and place, and to put our experiences side-by-side and make meaning of them. Though we may start with documents of, or documenting things as they happened, the actual writing of the story becomes an act of creating something from this raw information. And with every decision we make on what to include, what to leave out, we are shaping that story. I started formally researching Rosina’s life story three years ago while starting my Masters of Fine Arts Degree at the University of Victoria. Long before that, I had been listening to family stories about her—snippets here and there that filled my mind with wonder: wonder about this figure that so many in my family deeply loved and had to leave behind, and wonder about a place, a knotty hillside village, in the toe of the Italian boot that I had never been. I’ve learned a lot while writing and researching, and thought I would share the two lessons that may be useful to other nonfiction writers, and that I know I will consider when writing my next book. She dangles there. A sort of crucifix over my doorway. I don’t have much. A name—three syllables. Ro. Si. Na. There is no song to help me feel her, no voice to remind me of hers. There is no scent, no texture. No time of day. She died in 1969, sixteen years before I was born. And from there, the reader comes along as I piece together Rosina’s life story and travel to Italy. As the research pulled me along, the story began to take shape, and by the first full draft I was giving into that process and tugging on the threads as I found them. Due – Use imagination, but first make a contract with the reader. I see imagination as a powerful tool for the nonfiction writer. Imagination, which leads to scene building, allows the writer to transcend mere record making and create a story as engaging as any fictional narrative. The reader is invited in, if we create a space for them to enter: a creaky door, a rough wooden floor, four walls of a fieldstone house high up on a hill. Since nonfiction writers are committed to the truth, in order to use imagination in a way that maintains that commitment the writer will need to signal these moments so the reader knows either what inspired the imagination (was it a document, a book, an oral story? ), and of course, imagination needs to be used with purpose. One of the best pieces of advice I received while writing Rosina was, find the balance that works for your story in terms of scene and exposition, and when imagining simply make sure to let the reader know. If you’d like to get in touch with me, I have a fancy new website over at www.jessicakluthe.com, I’m on Goodreads, and I tweet!